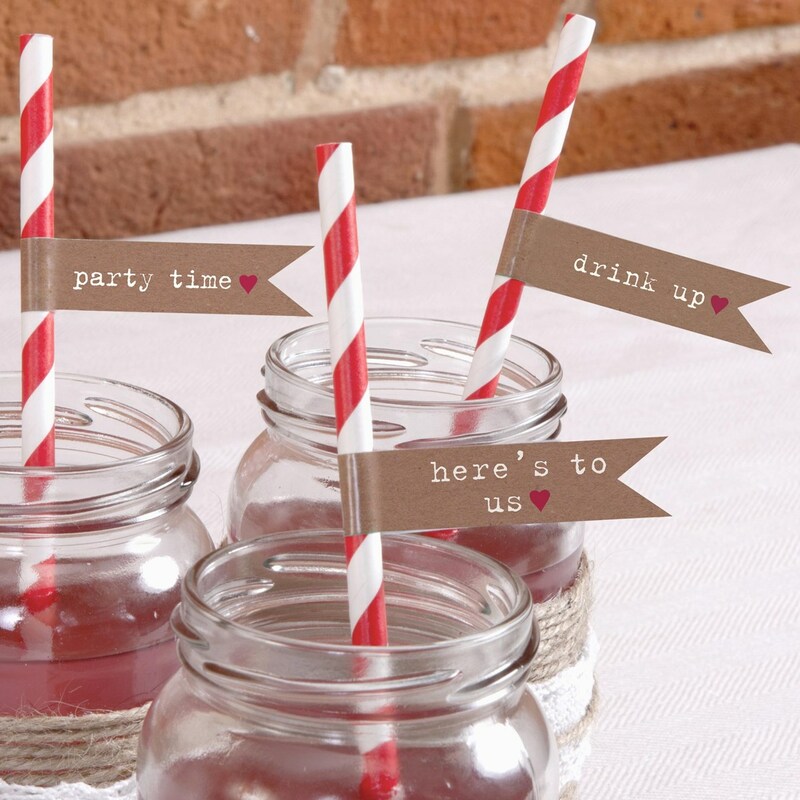 Add a fun touch to your welcome drink with these pretty straw flags combined with our red and white sriped paper straws. Each pack contains 30 fun stickers with various messages including "Cheers", "Party Time" and "Drink Up". Simple to apply, these flags make a perfect addition to your welcome drink or cocktail.